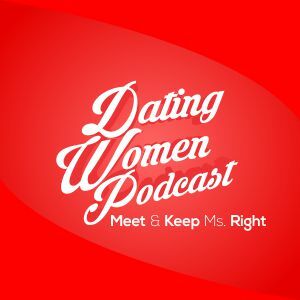 DWP 054: Do Women Test Guys? YES And You Can Pass The Tests Plus How Do You Know Why She’s With You, Don’t Be Her Butler – And More! >> DWP 054: Do Women Test Guys? YES And You Can Pass The Tests Plus How Do You Know Why She’s With You, Don’t Be Her Butler – And More! *DO WOMEN TEST GUYS? YES! *HOW DO YOU KNOW WHY SHE’S WITH YOU? *HE TALKS ON THE PHONE WITH THEM BEFORE A DATE BUT IT’S NOT A TELEPHONE BLUNDER – FIND OUT WHY? *SHE’S GOT TOO MANY NEGATIVES TOO SOON – BEFORE DATE 1 – SHE’S OUT! *CAN THE LOGISTICS OF BLENDING 2 FAMILIES AFFECT INTEREST LEVEL? *IS HIS WAY OF CONFIRMING DATES FROM ONLINE DATING RIGHT TO DO? *SHE TOTALLY WASTED HIS TIME, HAD NO INTEREST IN HIM AND MISLED HIM!